More than 100,000 cars that crossed to Gozo from Ċirkewwa over the past eight years never went back to Malta, official statistics have shown. The statistics, issued by the National Statistics Office (NSO), show that between 2010 and 2012, there was a discrepancy of several thousand vehicles – but this got considerably more marked in 2013, when 15,677 vehicles were unaccounted for, with no clear explanation as to what might have happened to them. The figures emerged from data given by Gozo Channel to the NSO. According to the ferry company in its official explanation of the discrepancy to the National Audit Office, the source of the counts is different: the one at Mġarr is taken from the tickets sold while the other at Ċirkewwa is done by employees through a tally clock, so it is subject to human error. Some of these vehicles would be new ones imported to Gozo – but the figure has to be seen in the context of 24,888 new vehicles being registered for the whole of Malta and Gozo in 2017. The discrepancy had already raised the concerns of the National Audit Office in 2013, and it did a follow-up exercise in 2016, although the figures now available show that they might only have picked up the tip of the iceberg. 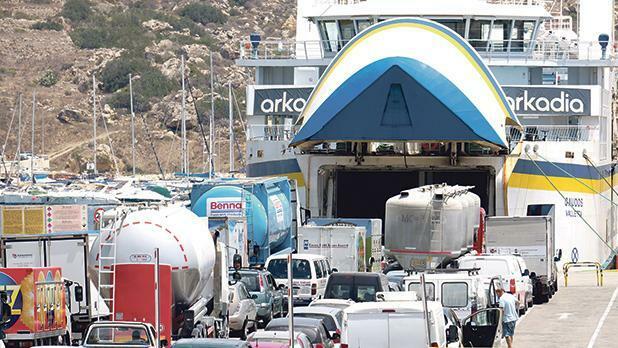 In 2016, the NAO found that 13,000 passengers and 600 vehicles had been carried by the Gozo ferries but not recorded in the electronic ticketing system, giving rise to strong suspicions of “tampering”. The NAO had found a figure written by hand in a company report, showing that, between January and December 2016, over 2,000 vehicles were not mapped to any ferry. Tickets were purchased and cars going to the marshalling area were never getting on the ferry. “It is pretty obvious that terminal duty officers are tampering with the scanners and this does not involve only headcounts but ticket sales, i.e. revenue,” the Auditor General said, referring to internal correspondence. The discrepancy would have financial repercussions because the two-way fare is only paid at the Mġarr terminal ticketing booth. This aspect had been taken up during an interview in 2015 with the executive chairman of Gozo Channel, Joe Cordina, who said that the most effective way to tighten up the system would be to have payment booths at either end of the crossing. He had told the Times of Malta: “The numbers still do not tally. I still put it down to human error… I want to make the system electronic. In my opinion, one of the biggest disasters for Gozo Channel is that there is no ticketing in Ċirkewwa: the €15 million terminal was designed that way! To introduce ticketing, we would have to change everything around.